It is arguably one of the best known and quite possibly most misused quote – ever – from the United States Supreme Court. 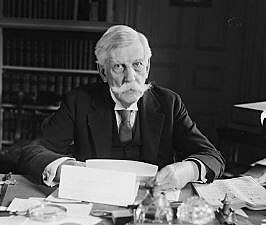 It was written by one of the most revered members of the high court, Justice Oliver Wendell Holmes Jr., 100 years ago and it continues to be used to this day. In the last week or so, it was referenced not once but twice in testimony before the Senate Judiciary Committee in Helena. Updating the law is important. Three Ravalli County teens have been arrested in recent weeks for separate alleged threats in Florence and Stevensville. But as important as this legislation may be, it’s also important to be historically accurate. As best I can determine, the act of yelling fire in a crowded theater is neither against the law nor unconstitutional. The case before the high court in 1919 (U.S. v. Schenck) associated with Justice Holmes’ famous quote had absolutely nothing to do with fires or theaters – not to mention that the case was largely overturned four decades later. Charles Schenck and his U.S. Socialist Party had distributed fliers calling on young men to resist the draft. Schenck was arrested under the Espionage Act, convicted and sent to prison. In his appeal before the Supreme Court, his lawyers argued the act was unconstitutional and Schenck was just exercising his First Amendment freedom of speech. It was only in a side comment – a metaphor – not the actual ruling on the case that Justice Holmes inferred that First Amendment protections weren’t absolute, with his famous “yelling fire in a theater” comment. In 1919, that was an extremely powerful rhetorical device. In the late 19th and early 20th centuries, theaters were often fire traps, shoddily built and illuminated by lanterns, candles or crude electrical elements. On the afternoon of December 30, 1903, during the second act of a musical comedy called “Mr. Bluebird” starring Eddie Foy, in Chicago’s brand-new Iroquois theater, a fire broke out. “The actors and actresses ran wildly about the stage as the audience fought and jammed its way to the front doors. In a short time, the interior of the theater was apparently a mass of flames, and smoke was issuing in clouds from the front of the house,” read the wire report carried by the Butte Inter Mountainnewspaper. “The bodies taken (out) … accumulated so rapidly that they had to be piled up two or three deep on the sidewalk.” Six hundred people died and 250 more were injured. 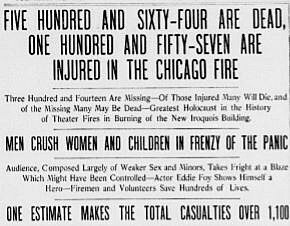 Today, with modern construction methods and fire codes, falsely yelling fire in a crowded theater doesn’t carry the same kind of fear and panic of 100 years ago. Over time, the philosophies of the courts have also changed. The “clear and present danger” doctrine gave way to the “preferred position” doctrine, “the idea that some rights and liberties are held in a preferred position,” during the Warren court. If, as Ravalli County Attorney Bill Fulbright implies, the text of Montana’s intimidation law reads more like 1919 than 2019, it should be updated to reflect today’s world of social media. But we’re also in need of an update in metaphors relating to arguments over First Amendment protections. 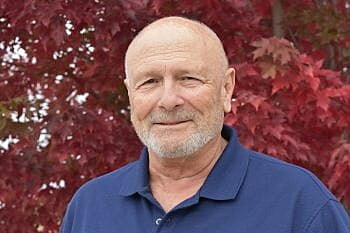 Jim Harmon is a longtime Missoula news broadcaster, now retired, who writes a weekly history column for Missoula Current. You can contact Jim at harmonshistories@gmail.com.